Come Tuesday, October 15, when the next Apple Event is expected to take place, Apple will reveal the iPad 5, iPad mini 2, “publicly” unveil + ship OS X Mavericks and, one certainly hopes, ship the 2013 Mac Pro. 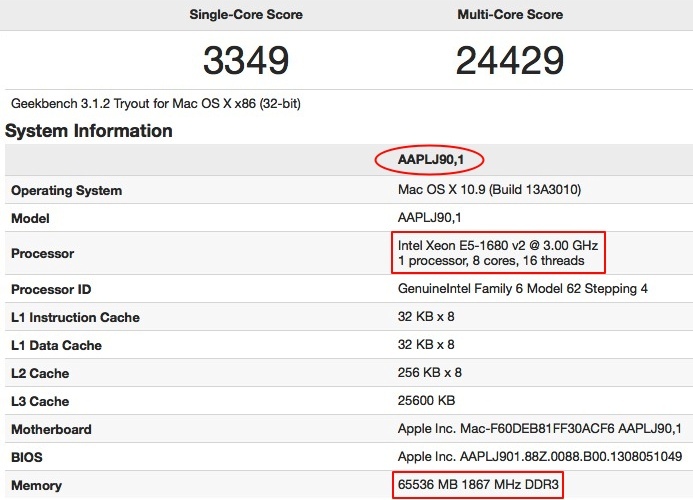 And, whereas the mothership has said 12-core models are coming, a fresh sighting on Geekbench indicates an 8-core 2013 Mac Pro configuration will be part of the mix, too. That level of performance easily tops the vast majority of existing Macs, including 12-core models. It is tempting to hope that the 8-core 2013 Mac Pro will fill Apple’s traditional $2,499 entry-level price point. However, as noted by a Fairer Platform comment poster “bregalad”, that’s not likely. Not a chance! The 1680v2 [listed above] has a list price of over $1,700. 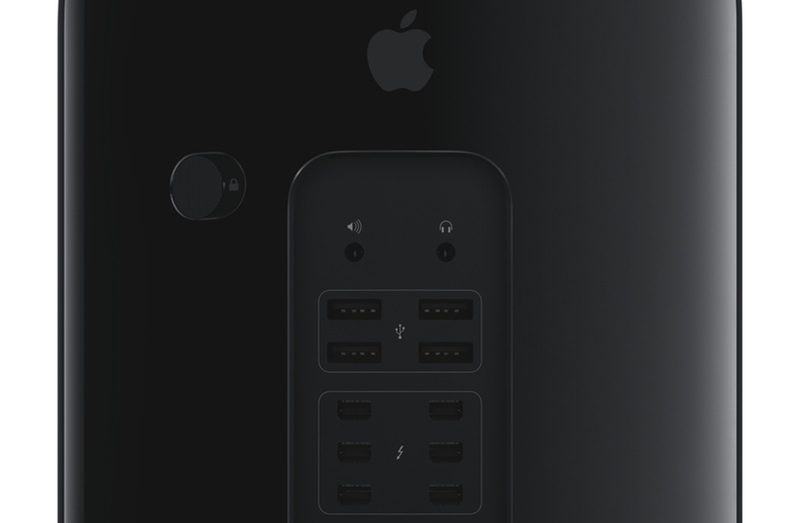 Look for the entry-level Mac Pro to sport a more reasonably priced CPU like the 1620v2 or 1650v2. But with two high-end GPUs, I don’t think $2,499 is going to be possible even with an inexpensive CPU. Mere mortals will have to content themselves with iMacs, Mac minis or MacBook Pros.